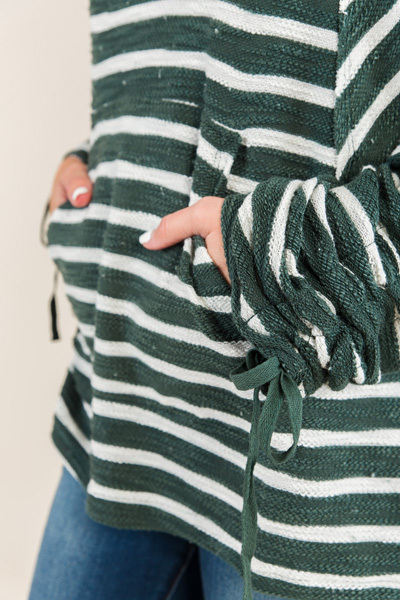 An easy throw-on-and-go slouchy hoodie! 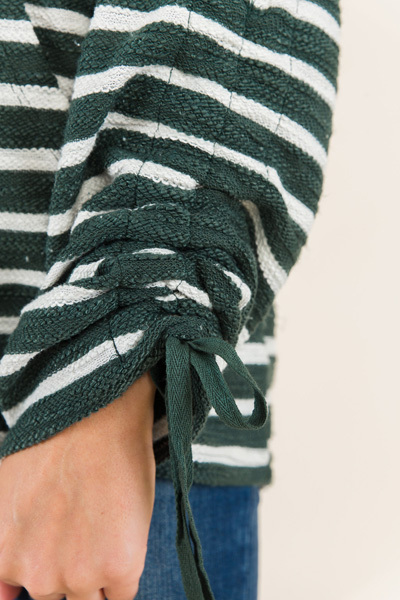 It features dolman sleeves, kangaroo pocket and unique ruching at the wrists. A longer hemline in the back make it leggings friendly! Material is a textured poly/ cotton blend.